Berlin's weather features four distinct seasons where it is hot in summer, cold in winter, and somewhere in between in spring and fall. And it rains consistently year-round. That said, there really isn't a bad time to visit Berlin. You just need to be prepared with both an umbrella (Regenschirm) and a bathing suit (Badeanzug). 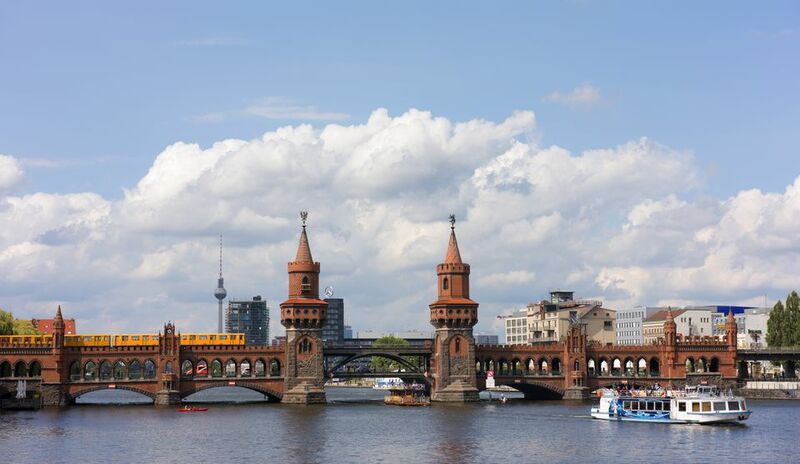 Here is an overview of the weather in Berlin for all the seasons with information on average temperatures, what to wear, and what to do every season. Berlin's winter can lag into spring, but as soon as the the city begins to thaw Germans gather under heaters at outdoor cafés and biergartens. Festival season starts once it is officially warm. Spring in Berlin can start on the chilly but by May it has warmed up a bit. What to pack: Bring layers for colder days and nights. Always pack some wet weather gear. Summer is a golden time in Berlin. It is comfortably warm, with a few very hot days, but rain is never off the agenda. Humidity can turn into an all-out downpour and thunderstorms are a frequent occurrence early in the season. Berlin in the summer isn't unbearably hot so you can probably leave the shorts at home. What to pack: Be sure to have rain gear ready and pack lightweight clothes. In Fall, the weather is still pleasant with golden days and colorful fall foliage. Germans call these last warm days altweibersommer (Indian summer) and revel in the last rays of light before the winter. But before long the weather starts to turns cold and rainy and the days get noticeably shorter. What to pack: Start layering back up for fall in Berlin with a scarf, hat, and mittens as the season goes on. While there are some days that tease at summer, those will steadily decrease and you need to be prepared for chilly temperatures. Temperatures in Berlin for winter can drop below freezing so be ready to brave the cold. Warming you from these temperatures are the charming Christmas markets (Weihnachtsmarkt) and belly-warming drinks and treats. What to wear: On top of your fall gear of scarves and mittens, you should now top it with snow-proof jackets and slip-proof boots. Many people add even another layer for the chilliest days of long johns or tights beneath pants.